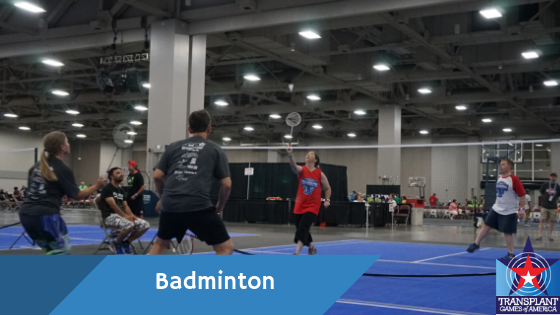 Competitors must be pre-registered to compete in badminton. 1. Tournament format will be a single elimination tournament with rally scoring to 21. The best of three games will win the match and advance. 2. Only officially approved rackets by the sports director are allowed. 3. Shuttlecocks will be provided, rackets are not. Medals will be awarded to first, second, and third in each event by age group and gender. The Badminton World Federation Rules will apply. With some modifications. Once an event is completed and results are available, badminton staff must record all competitors and times/scores to the appropriate system/documents. When electronic scoring is being utilized a manual backup system must be in place to record results.